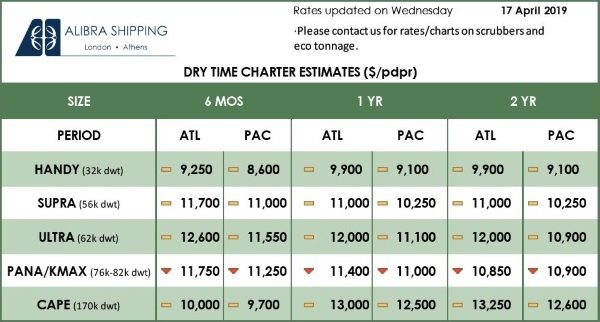 Cape rates have remained under pressure and are estimated at $14,800/pdpr for one-year in the Atlantic. 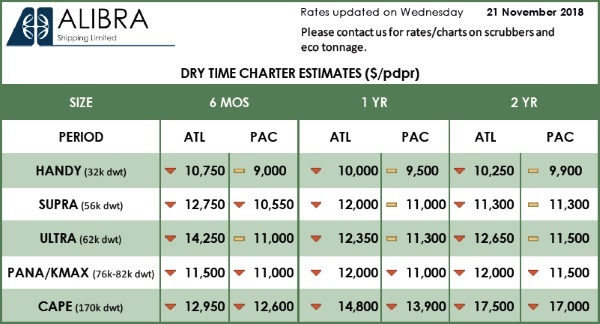 The panamax market has seen more activity in the pacific this week although rates remain under pressure. 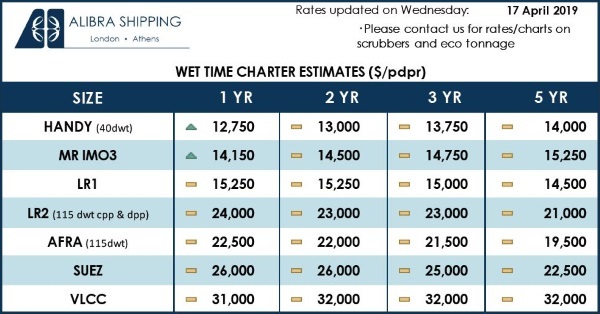 A relatively slow start to the week for the ultramaxes and supramaxes with rates for supras in the Atlantic estimated at around $12,750/pdpr for six months.